Not long ago, server virtualization changed the face of corporate IT. The technology unleashed efficiencies and capabilities not possible when applications and data were constrained by physical hardware. Now, many companies are now moving their virtualized computing environment to the public cloud, reducing the burden, expense, and risk of maintaining an on-premises-only environment. Running services in the cloud can lower maintenance costs and provide the ability to scale on demand as well as robust disaster recovery services. But how to get started? 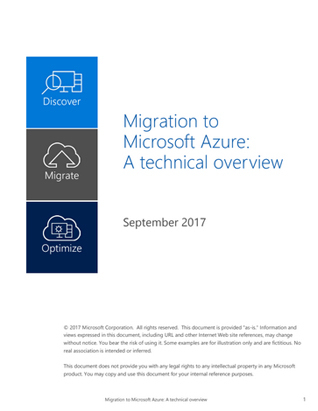 Without a strong plan, risks can include a complex and time-consuming migration process compounded by lack of relevant skills, loss of control from moving computer resources off- premises, bandwidth issues, and unexpected costs.